Statistical science’s first coordinated manual of methods for analyzing ordered categorical data, now fully revised and updated, continues to present applications and case studies in fields as diverse as sociology, public health, ecology, marketing, and pharmacy. Analysis of Ordinal Categorical Data, Second Edition provides an introduction to basic descriptive and inferential methods for categorical data, giving thorough coverage of new developments and recent methods. Special emphasis is placed on interpretation and application of methods including an integrated comparison of the available strategies for analyzing ordinal data. Practitioners of statistics in government, industry (particularly pharmaceutical), and academia will want this new edition. ALAN AGRESTI, PhD, is Distinguished Professor Emeritus in the Department of Statistics at the University of Florida and Visiting Professor in the Department of Statistics at Harvard University. 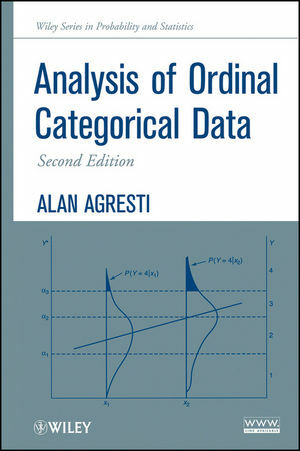 A Fellow of the American Statistical Association and the Institute of Mathematical Statistics, Dr. Agresti has published extensively on the topic of categorical data analysis and has presented lectures and short courses on the subject in more than thirty countries. He is the author of Categorical Data Analysis, Second Edition and An Introduction to Categorical Data Analysis, Second Edition, both published by Wiley. 1.2. Advantages of Using Ordinal Methods. 1.3. Ordinal Modeling Versus Ordinary Regession Analysis. 1.4. Organization of This Book. 2. Ordinal Probabilities, Scores, and Odds Ratios. 2.1. Probabilities and Scores for an Ordered Categorical Scale. 2.2. Ordinal Odds Ratios for Contingency Tables. 2.3. Confidence Intervals for Ordinal Association Measures. 2.4. Conditional Association in Three-Way Tables. 2.5. Category Choice for Ordinal Variables. 3. Logistic Regression Models Using Cumulative Logits. 3.1. Types of Logits for An Ordinal Response. 3.3. Proportional Odds Models: Properties and Interpretations. 3.4. Fitting and Inference for Cumulative Logit Models. 3.5. Checking Cumulative Logit Models. 3.6. Cumulative Logit Models Without Proportional Odds. 3.7. Connections with Nonparametric Rank Methods. 4. Other Ordinal Logistic Regression Models. 4.3. Stereotype Model: Multiplicative Paired-Category Logits. 5. Other Ordinal Multinomial Response Models. 5.3. Cumulative Log-Log Links: Proportional Hazards Modeling. 5.4. Modeling Location and Dispersion Effects. 5.5. Ordinal ROC Curve Estimation. 6. Modeling Ordinal Association Structure. 6.2. Loglinear Model of Linear-by-Linear Association. 6.3. Row or Column Effects Association Models. 6.4. Association Models for Multiway Tables. 6.5. Multiplicative Association and Correlation Models. 6.6. Modeling Global Odds Ratios and Other Associations. 7. Non-Model-Based Analysis of Ordinal Association. 7.1. Concordance and Discordance Measures of Association. 7.2. Correlation Measures for Contingency Tables. 7.3. Non-Model-Based Inference for Ordinal Association Measures. 7.4. Comparing Singly Ordered Multinomials. 7.5. Order-Restricted Inference with Inequality Constraints. 7.6. Small-Sample Ordinal Tests of Independence. 7.7. Other Rank-Based Statistical Methods for Ordered Categories. Appendix: Standard Errors for Ordinal Measures. 8. Matched-Pairs Data with Ordered Categories. 8.1. Comparing Marginal Distributions for Matched Pairs. 8.2. Models Comparing Matched Marginal Distributions. 8.3. Models for The Joint Distribution in A Square Table. 8.4. Comparing Marginal Distributions for Matched Sets. 8.5. Analyzing Rater Agreement on an Ordinal Scale. 8.6. Modeling Ordinal Paired Preferences. 9. Clustered Ordinal Responses: Marginal Models. 9.1. Marginal Ordinal Modeling with Explanatory Variables. 9.2. Marginal Ordinal Modeling: GEE Methods. 9.3. Transitional Ordinal Modeling, Given the Past. 10. Clustered Ordinal Responses: Random Effects Models. 10.1. Ordinal Generalized Linear Mixed Models. 10.2. Examples of Ordinal Random Intercept Models. 10.3. Models with Multiple Random Effects. 10.4. Multilevel (Hierarchical) Ordinal Models. 10.5. Comparing Random Effects Models and Marginal Models. 11. Bayesian Inference for Ordinal Response Data. 11.1. Bayesian Approach to Statistical Inference. 11.3. Bayesian Ordinal Regression Modeling. 11.4. Bayesian Ordinal Association Modeling. 11.5. Bayesian Ordinal Multivariate Regression Modeling. 11.6. Bayesian Versus Frequentist Approaches to Analyzing Ordinal Data. Appendix Software for Analyzing Ordinal Categorical Data. Coverage has been updated to feature recent methods such as log linear, logit, and multinomial logistic regression; repeated measurement ordinal data; and clustering. Section notes have been added to provide reference to further details and to recent relevant research. All of the exercises have been changed, updated, and streamlined. They now require data analyses and deal with interpretations of the methods. A related Web site features data sets, SAS programs, and additional supplemental material. 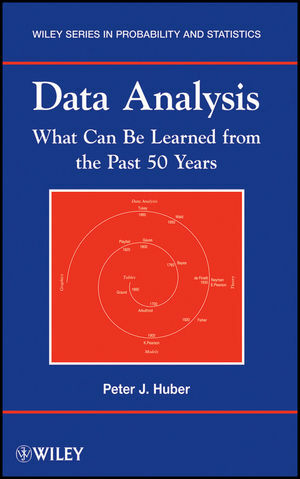 This is the first book of its kind to deal comprehensively with specialized methods for categorical data with ordered categories, though now the more advanced material is relegated to the ends of chapters. Coverage has been updated to feaature recent methods such as log linear, logit, and multinomial logistic regression; repeated measurement ordinal data; and clustering. The use of existing statistical computer packages for implementing the methods is explained; these include SAS, SPSS, GLIM and R subroutines. An extensive bibliography includes articles dealing with the analysis of ordinal categorical data, pulling together research in the last two decades from widely divergent sources.